My entry into the Muse Challenge #113. I LOVE the voila! 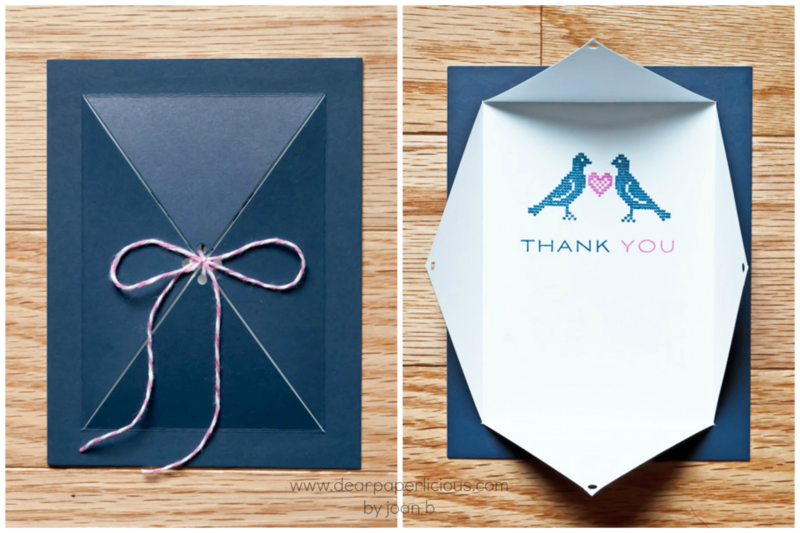 moment created by the Essential by Ellen's by Julie Ebersole Diagonal Window Die. Even the simplest card, like this one, has a little pop. Here I've used the adorable image from Waltzingmouse Stamps Nordic Spring, and left enough space to write in a short note, because I'm actually mailing this one! I tend to freeze when presented with a challenge. But I'm digging in and stretching myself. Michelle Ferguson from I Card Everyone is the Muse on the Muse Challenge blog last week, and presented the following card, which I LOVE and which provided the inspiration for my card. Aren't those colors gorgeous? I focused on the blue and white colors and then threw in a pop of bright pink and posted it just in time for the challenge to end. 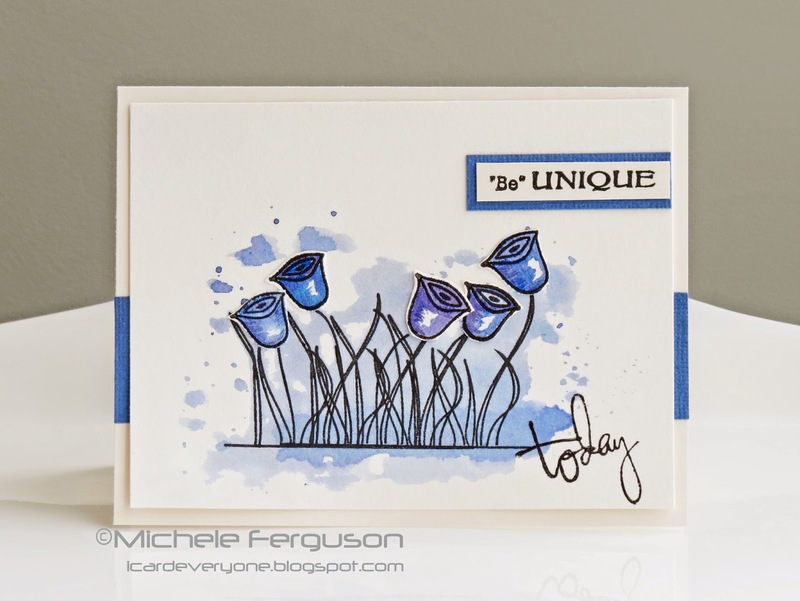 (Yes, I tried about 3 versions of blue flowery cards but none of them came together...). Waltzingmouse Nordic Spring, PTI Inside Out: Thank You, Essentials by Ellen Diagonal Window Die, A Muse Studio navy cardstock, white cardstock, adhesive, twine, and Memento Nautical Blue and Rose Bud Dew Drop dye inks. What a fun surprise this will be for the recipient! I love the interactivity of that die! So glad you joined us at Muse this week, Joan! no no, I love the blue flowers!!!!! Just cause I got stuck doesn't mean blue flowers are bad. Now I am determined to make something with blue flowers!! and I think the card you made is lots of fun! that is such a neat die. lots and lots you can do with it. Well, how do you like that? Cute and clever! I also love Michele's card.